AVAILABILITY: In Stock : Ships From Our Office Same Business Day. FedEx Ground Free. Faster Shipping Can Be Selected During Checkout. Use in passenger vehicles or light duty trucks built after 1996. 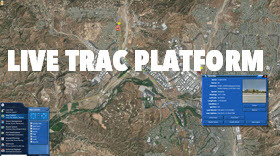 Platform: Live Trac. Updates at 5, 10 second intervals. 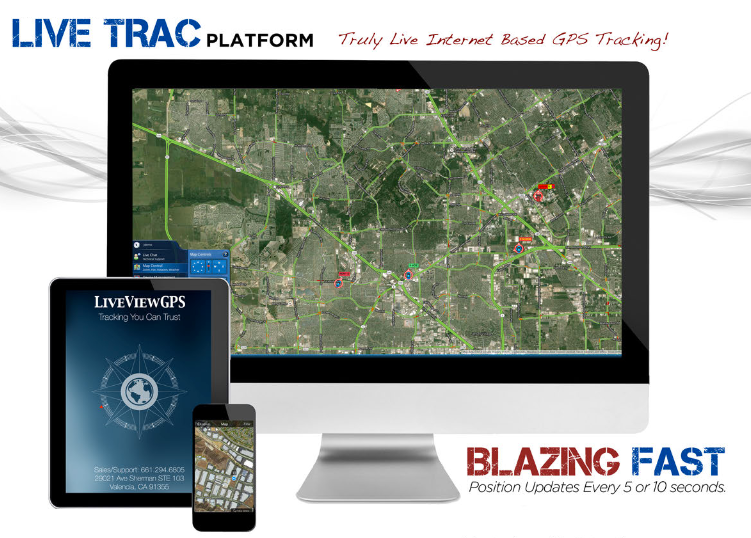 It's Called The Live Trac EZ For A Reason! 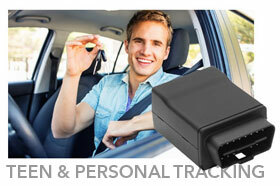 The EZ GPS tracker installs in seconds. 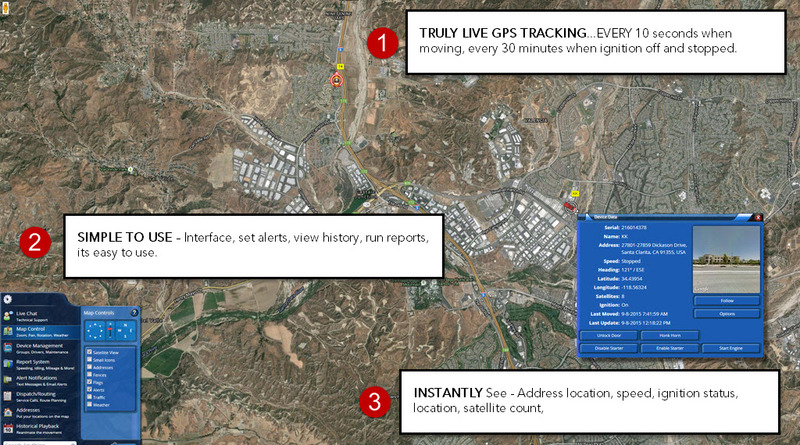 Ultra-fast location updates with 10 second tracking. 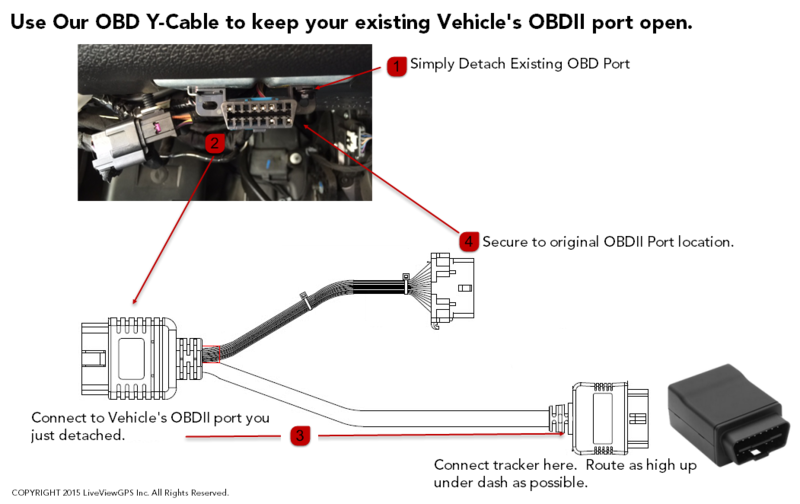 The On Board Diagnostic Port, better known as the OBD-II port is found on most passenger cars and trucks built after 1996. The port was designed to help technicians diagnose and troubleshoot vehicle problems. The OBDII port is typically located somewhere on the driver's side of the vehicle under the dash. It's as easy as that. 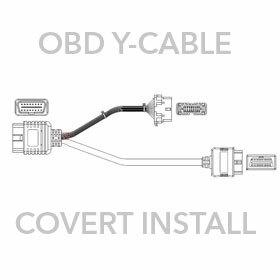 Once you find the OBD-II port - simply plug the EZ in and you're done. 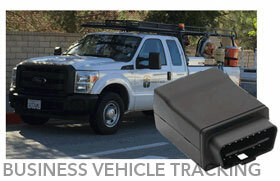 Internet Based Vehicle Tracking From Your Desktop! 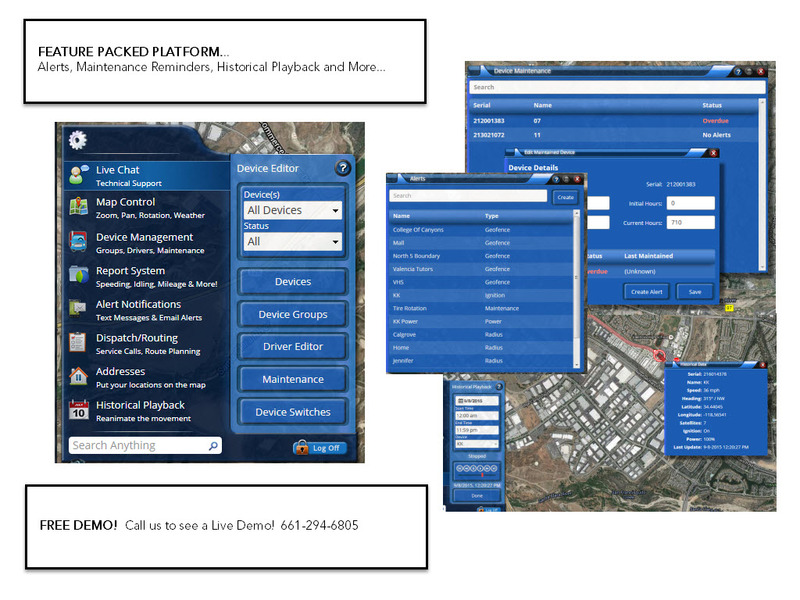 Track From ANY mobile device with a web browser! CNET GIVES THE LIVE TRAC EZ FOUR OUT OF FIVE STARS! August 10, 2017 by Sherry W.
September 11, 2016 by Mike S.
So far everything is working great! June 4, 2016 by John M.
While the unit worked the moment I plugged it in (after going through the activation process), it progressively seemed to work less and less well the first week (jumping, failing to update, etc.). After 2 chat sessions with support (where the unit was "reset" remotely), 2 phone calls with support and some on-site troubleshooting on my part suggested by support, LiveView determined that there was an updating issue which they were able to fix remotely (took about a day to work through it all). Since that firmware update, the unit has been working well (a little over a week now). Seems there might be some dead spots with the AT&T network around our area, but since the firmware update, the unit might go "dark" for several 10 second updates, but it comes back once out of the AT&T dead zone. If it continues to work like this, I will be very satisfied. The web interface is fine, but does take some getting used to. The text/email alerts work well so far and are just want I needed (as are the reports that can be run on request or scheduled). When away from the office, I have been using just the mobile website with smartphone (i.e., not the app), which is far less informative than the desktop version with little functionality that I have found - but it does give you the current location of the vehicle and updates timely (and if you set up the alerts, you will get the text/email so you know what's going on). February 23, 2016 by Robert S.
December 1, 2015 by Micheal H.
September 9, 2015 by Cynthia M.
Awesome product and a great piece of mind! Many thanks for your help keeping up with our elderly parents . June 11, 2015 by Harold H.
June 6, 2015 by Matt B.
June 4, 2015 by Terry B. Great product. First one was a bust but you folks did quick turn around and we've had no issues since. June 2, 2015 by Timothy A.
I use technology ,a lot of technology . My 80-year-old father still drives and without the ability to keep track of him while receiving timely notifications that we do from LiveView our life would be much harder . 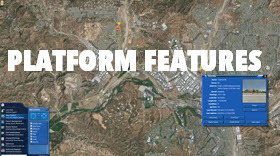 This service has been one of the best assets that we have acquired in a very long time . You will never know how much you need the service until you been without it in dealing with eldercare or possibly teenagers driving . I love EZ Trac. It is perfect my Landscaping business. I can't imagine not having it. It pays for itself with the productivity increase. Plugs right in and works well. 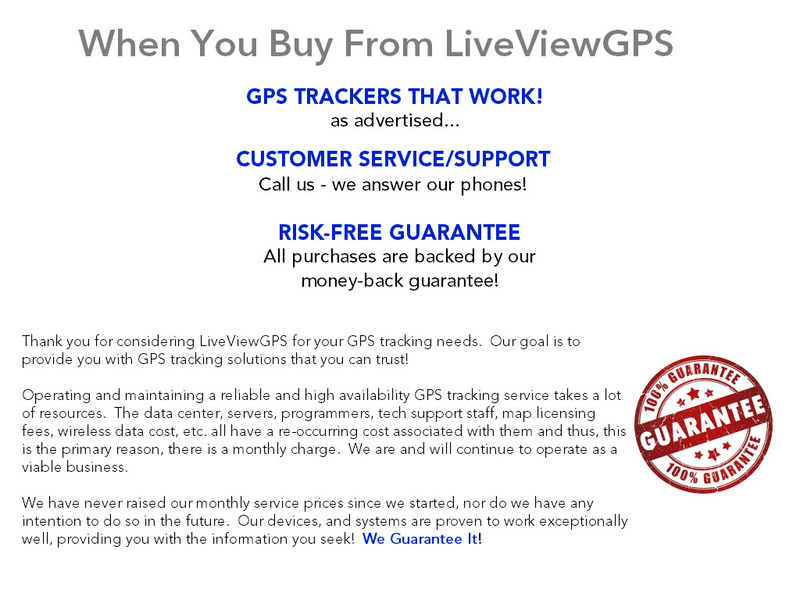 Great tracking and report options via the website. Big thumbs up. 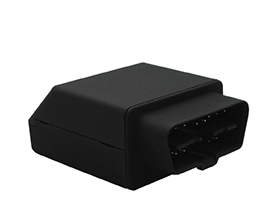 The Live Trac EZ plugs into the OBDII port of passenger cars and trucks built after 1996. The EZ is not compatible with heavy duty and oversized vehicles. Internal Battery: Yes Dimensions: 1.8" x 2.6" x 1.1"
Have A Question About "Live Trac EZ" ?